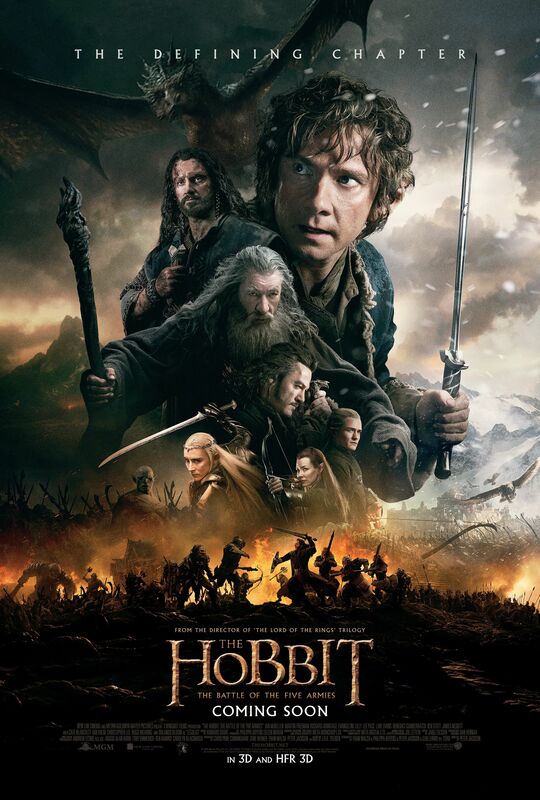 The day has finally come and gone when many of you were lucky enough to view The Hobbit: The Battle of The Five Armies in theaters. TORn’s facebook page, the discussion boards and Barli’s chat are all buzzing with excited observations! Many of our staffers saw it too and, as it TORn tradition, we’ll be featuring their comments and insights here, as well as a spoilery picture or two. Speaking of spoilers, they abound in the rest of this article, so read no further if you haven’t seen the EE yet and don’t want to be spoiled until you do! 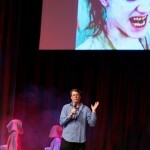 HobbitCon 3 took place just a couple weeks ago in Germany and our friends at Henneth-Annun were on-hand to get the low-down. 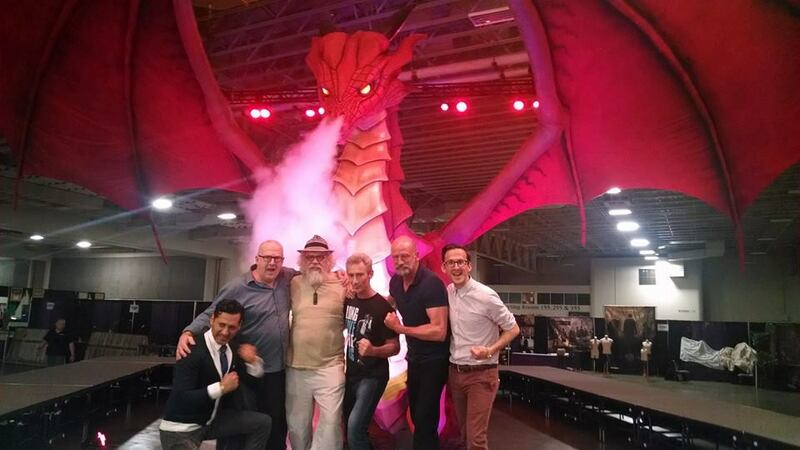 They’ve compiled an extensive English-language report on the three-day convention, as well as many quotes from Q&A panels featuring Luke Evans, Graham McTavish, Sylvester McCoy, Lawrence Makaore, John Bell and more. Don’t forget to click the link at the bottom to read the complete report. 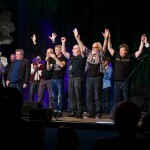 HobbitCon 3: third time’s a charm! 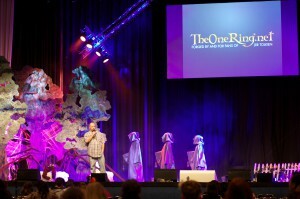 I do remember the very first HobbitCon. 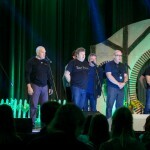 When FedCon GmbH, the organizing company, announced a new convention during the RingCon 2012 dedicated exclusively to “The Hobbit”, with the participation of 11 dwarves from Thorin’s Company (although two of them cancelled later), I didn’t know what to think about it. 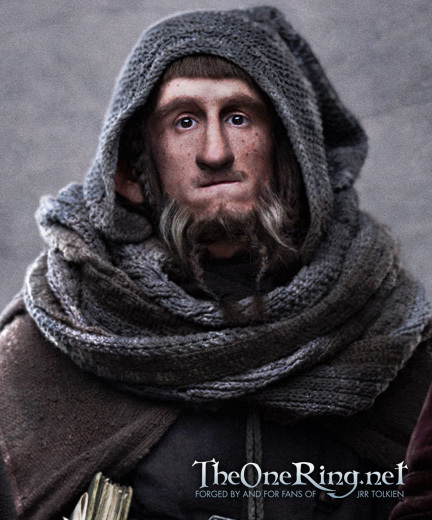 That was even before the first movie from PJ’s second trilogy was released, and the dwarf actors were only known to us from the director’s video blogs. 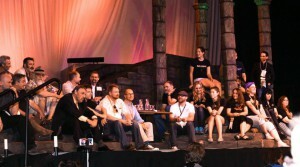 And in fact, the first HobbitCon proved to be a commercial failure, though it had a very pleasant and homely atmosphere. 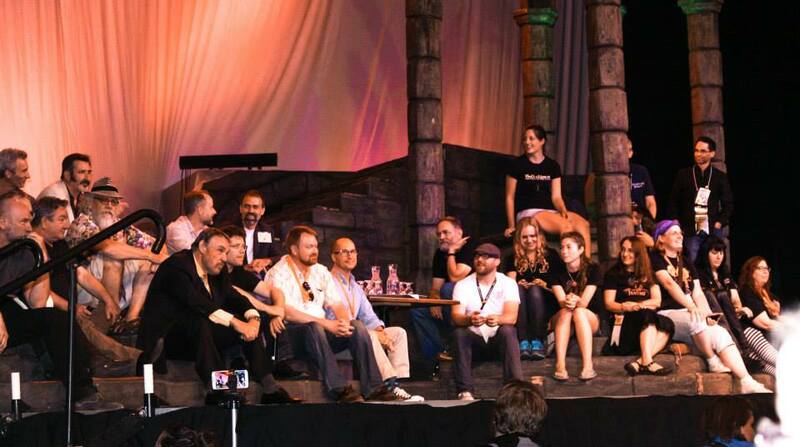 Luckily, the organizers didn’t give up, and the second HobbitCon fared much better than the first one. And now, after the third HobbitCon (christened by Mark Ferguson “HobbitCon DREI”, which is German for “three”) has passed, you can really tell that there was barely room to swing a cat. 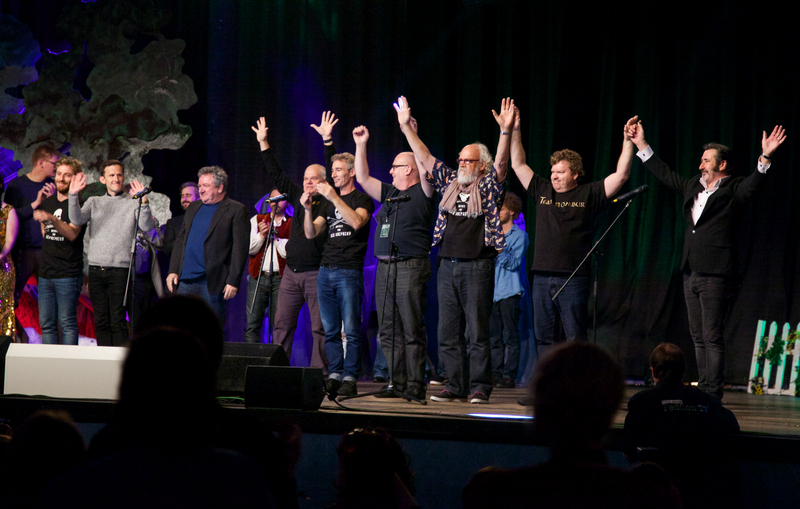 If the first HobbitCon had just 800 visitors during the weekend, the third one had 5500 guests from over 27 countries! 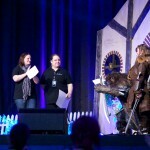 The Maritim hotel in Bonn was bursting, and the amount of Fili & Kili cosplay couples was staggering. 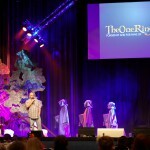 Speaking objectively, the HobbitCon is a unique event in the whole world. 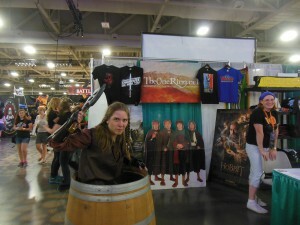 International conventions usually work with several mixed genres, there are many different fandoms present at a convention, with each fandom represented by just one or two actors. These are giant commercial vehicles, with an airplane hangar-like atmosphere. 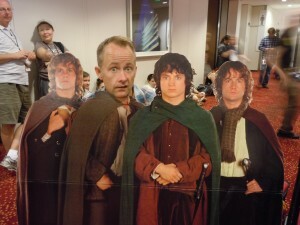 The HobbitCon is very different. 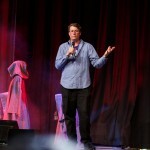 You do not need to stay in a line overnight to get into a Q&A panel hall. You can be partying in a bar and suddenly find yourself on the dance floor together with Graham McTavish, Jed Brophy or even Luke Evans. Of course it is not for free – but still, three days of positive emotions, homely atmosphere and the feeling that the movie actors have become your friends, are worth it. 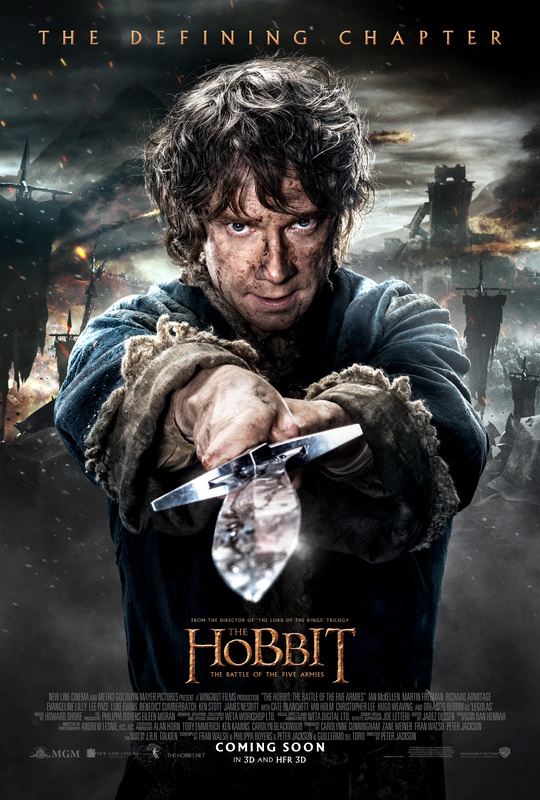 As you know, The Hobbit: The Battle of the Five Armies had its world premiere in London last week. Members of the cast and crew gathered in the city, with some of them seeing the film the night before the premiere, but many heading down the red carpet to experience the completed movie for the first time. Maybe not – but certainly this is the final film in what is now Peter Jackson’s sextuplet of Middle-earth movies. And I was lucky enough to see it today. It is a beautiful film. So many lovely moments – great acting from our dwarf cast (who have very few lines amongst them, but who do wonderful, expressive things facially and with body language). Martin Freeman, Ian McKellen, Luke Evans and Richard Armitage are as fabulous as they have been throughout these films. 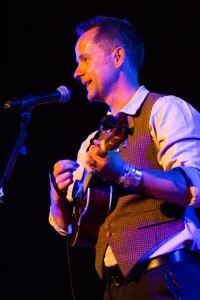 John Bell (Bain, son of Bard) is a stand out ‘supporting role’ in this film. There is a scene between him and his father Bard which is especially moving – it was the first scene in the film to make me cry! 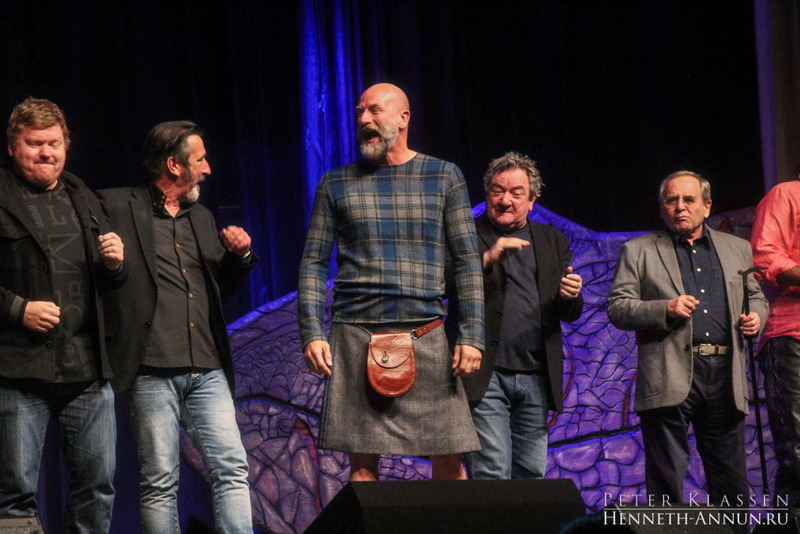 From the dwarves, Ken Stott (Balin) and Graham McTavish (Dwalin) both have well scripted, skilfully played scenes. Christopher Lee is fantastic – Saruman is a force to be reckoned with in this film, even though he only appears briefly! There are some typically over the top, ‘PJ’ moments – bits which made me roll my eyes, but which, on the whole, we’ve come to expect from this playful director. Legolas does more than shield-surfing in this movie… But when it comes to the quiet, downplayed moments, this stellar cast don’t let us down. I was moved to tears often; the scene when Bilbo takes his final leave from the company of dwarves is beautifully touching. Howard Shore’s score is as effective as ever, and of course the production and costume design are wonderful. Is this the best of the three Hobbit movies? Maybe. I need to see it again to decide. 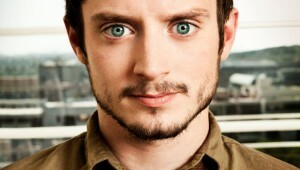 Does it rise to the height of the Lord of the Rings movies? In places, yes. There are scenes of spectacular depth and emotion, as well as that incredible New Zealand scenery. There are CGI moments which, for me, are jarring – vast hordes of soldiers where it is all too obvious that the same CGI character is repeated multiple times – but on the whole, not so many in this film as there were in The Desolation of Smaug. There are small things I might wish to change, but overall, this is a satisfying end to this trilogy – and a pleasing ‘lead in’ to the Lord of the Rings trilogy. Tonight on the red carpet, Peter Jackson asked me who would be the first person to watch all six films in order. 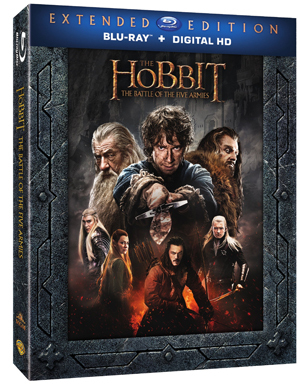 I can’t wait to see The Hobbit: The Battle of the Five Armies again; and I can’t wait to watch this film ‘in situ’ with the other five movies. 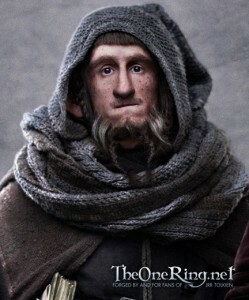 It’s a worthy, emotional part of our Middle-earth journey; a three tissue film for me! We went there; we’ve come back again; and the journey has been well worth it. We’re hosting a Party of Special Magnificence next February — a final toast to all SIX movies, both The Lord of the Rings trilogy and The Hobbit trilogy. 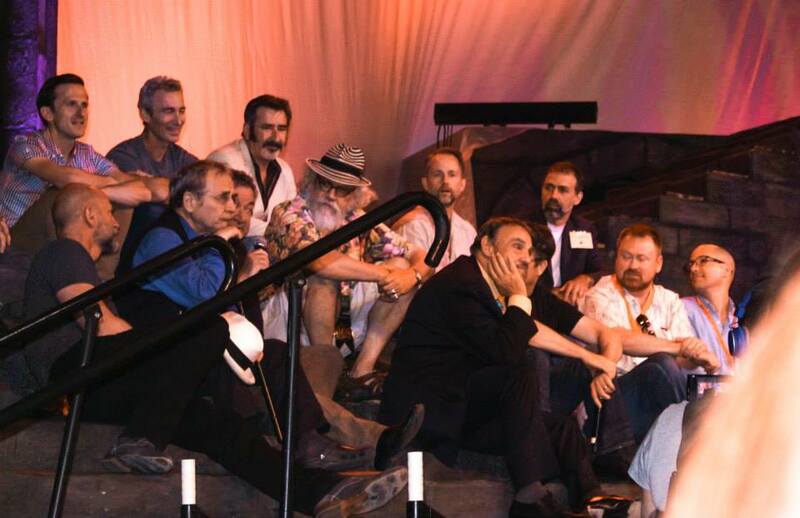 We’re inviting you to join us and make it happen through our Indiegogo campaign — so we can all celebrate Peter Jackson’s Middle-earth movies together! Visit our campaign page and find out how you can help! SALT LAKE CITY — FantasyCon, with an already potent lineup of guests from “The Lord of the Rings” and “Hobbit” movies, announced that Billy Boyd will be joining the show. 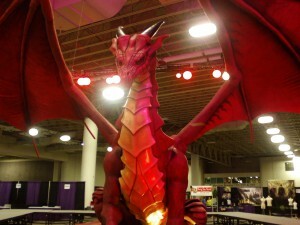 The convention, with its obvious fantasy theme, is striving to be different from the many popular-culture events that dot North America with increased interactivity and an emphasis on fantasy art. Boyd joins LOTR partners Sean Astin and John Rhys-Davies, along with Hobbit actors Slyvester McCoy, Ken Stott, Graham McTavish, William Kircher, and Jed Brophy. The convention is Stott’s first convention appearance in North America. 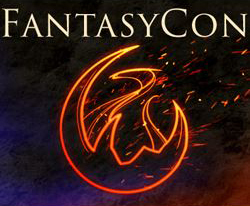 FantasyCon is also a major sponsor of TheOneRing.net and the show will feature several of our own staffers, including FantasyCon Program Director Larry D. Curtis, MrCere here at TheOneRing.net. According to him, “There are more Middle-earth names to come, and by the time all the announcements are done we will offer a unparallelled Tolkien lineup. 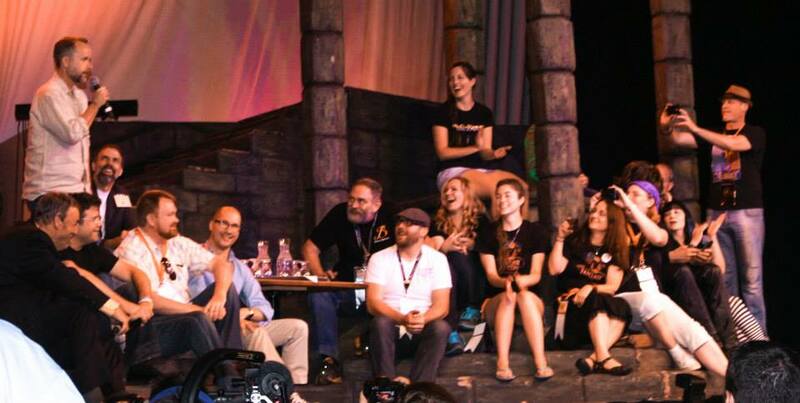 We mostly have all of these guys for three days helping us celebrate fantasy and of course signing autographs and providing photo ops with fans. The convention also includes a group of masterwork fantasy artists, many who are bringing commissioned paintings to the event. 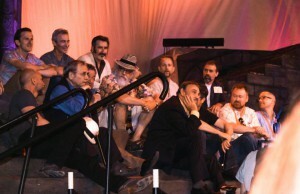 Artists include TORn friend and Middle-earth artist Donato Giancola and Brom. 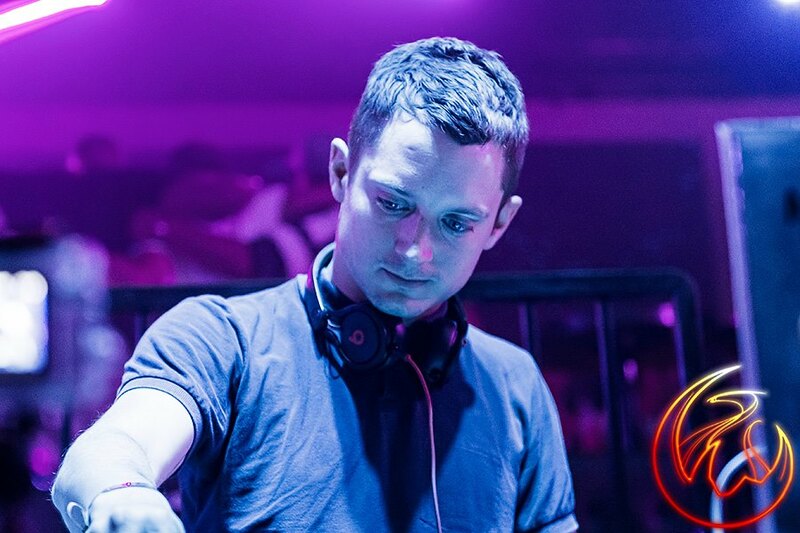 The full list of artists can be found right here. The show starts Thursday July 3rd and will finish Saturday July 5th in Salt Lake City. 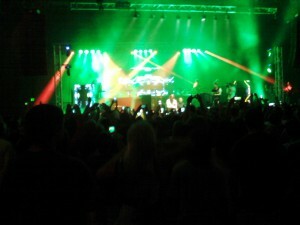 The Salt Palace Convention Center will host the event, close to many hotels and close to the Salt Lake airport.